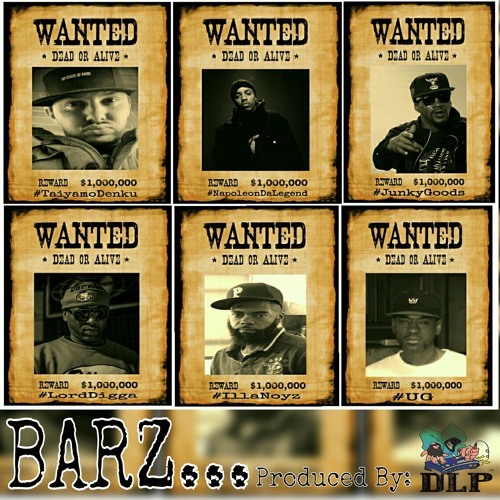 Check the New Single from producer DLP ‘Barz’ featuring Taiyamo Denku, Napoleon Da Legend, Junky Goods, Lord Digga, Illa Noyz, & UG. This track features a whole load of lyricism over his dope production. Taiyamo Denku of CyphaDenMusic kicks the joint off and UG finishes just as hard. Each emcee brings their style to the table and represents who they are thru ‘BARZ’.